Today I’m veering away from my usual YA fantasy taste and reviewing a photography book, one perfect for dog lovers like myself. Since coffee table books are so visual, I’ve included some extra photos in addition to the cover. 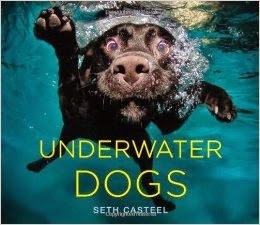 The title tells you what to expect: photographs of dogs underwater - but you might be underestimating how hilarious such photos can be. 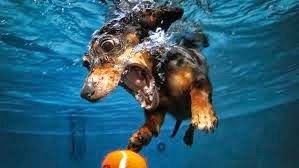 From bubbles to muzzles ballooning like swim trunks, these photos catch all the amusing detail when a dog plunges their head below the surface. This is a great gift book, especially for dog lovers and people who enjoy a good laugh. 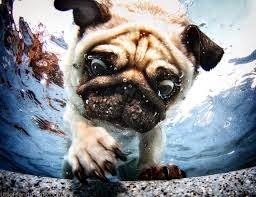 I can’t help hoping we haven’t seen the last of Casteel’s swimming-canine-photography. This didn’t seem like my type of book at all. I would have passed over it except someone literally shoved a copy in my hands at a book conference and declared, “You have to read this!” (That kind of thing happens more often at book conferences than in the rest of the world.) Boy, were they right. I had to read this and now you do, too! At only sixteen years old, Travis was dying. Then doctors gave him an opportunity to volunteer for implausible medical procedures that they expected might be ready not that far into the future. Though presented with a few equally far-fetched options, Travis and his parents took a chance on the following: removing his head from his dying body, freezing it until such time that this procedure becomes ready, and then transferring his head to a donor body. You might already see why I didn’t think I would like this book. I balked and scoffed at this premise, utterly unconvinced, but upon starting NOGGIN it became apparent near immediately that this story isn’t about convincing explanations behind a science fiction premise; it’s about the characters and their emotions and this resurrection-type surgery serves as one intense catalyst. I loved the voice. Travis feels so real and following his train of thought so natural. 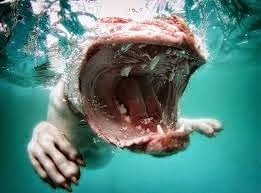 His reactions to a bizarre surgery also helped ground an unrealistic premise for me. He balks at the idea of cutting off his head let alone attaching it to a new body, but comes around to the idea merely as a way to placate all the people insurmountably distraught over his inevitable death. Questions pop up before the story even starts, from the premise alone. I certainly consider NOGGIN a great one for discussion. There’s the role media plays in all of this. Travis isn’t returning to his old life after all. He’s returning to one where he’s a celebrity, the second person to survive this extreme resurrection-type surgery. Being a minor, the media has to keep a reasonable distance, but they’re still there: wanting to know every little thing about him, as if Travis doesn’t have enough on his mind. Then there’s the passage of time. Five years have gone by, but Travis remains sixteen and feels like he only woke up one morning and everyone jumped ahead of him. He has a very hard time grasping that he can’t return to his previous life, that he’s starting anew. He doesn’t understand why his old friends resist seeing him at first or how his girlfriend could be engaged to someone else. (Sidenote: While I adored this book, the people I know who didn’t cite Travis’ inability to grasp the five-year difference. I found this believable and tragic, but I know others who grew frustrated with his determination to maneuver everything back to how it was before.) As Travis’ father points out, “They’ve grieved you for years and now they’re being asked to un-grieve you, and, sadly, that just isn’t something that very many people understand, because, well, it’s never been a possibility before now.” Which also brings up the fact that there are a lot of great quotes packed into this novel. NOGGIN had me crying not once but practically throughout the entire second half of the book, with some scenes calling for a small trickle and others turning on the faucets. (As I mentioned before in earlier reviews, I’m not an easy crier when it comes to fiction.) While some people might have felt annoyed with how Travis won’t accept that his girlfriend is five years older, has mourned his death, and found someone new, I found the whole thing tragically believable. All this time, Travis assumed he was signing on for this procedure to pick up with his teenage life. He also considered the possibility that everyone he knew might be dead by the time the technology was perfected, but he never contemplated the in between: when enough time has passed to change everyone from the people he remembers. It wasn’t just Travis’ relationship with Cate, either, that opened my heart (and my tear ducts). Imagining what it must be like for parents who have spent five years trying to move past their teenage son’s death only to get him back earned more tears than I can count. I also shed some general tears for what it must be like for the world to change for you overnight, for how utterly overwhelming this must be for Travis. I do want to specify that some books that make you cry and you resent them for it while others make you cry and you love them for it. I loved NOGGIN for making my cry. I found the ending satisfying but not quite as much so as I wanted. Much feels unresolved, ending on a note that everything will be hard for Travis and I think, “Yeah, we know that. That’s why we wanted to read a book about how he deals with everything.” Also the ending zeroes in on only one aspect of Travis’ complicated life rather than considering the whole mess. If NOGGIN doesn’t look like your kind of book, I suggest considering it again. I didn’t think I could hop on board such an improbable premise, but Travis’ voice, the cast of wonderful and real characters, and the emotional implications of such a strange catalyst make NOGGIN one of my favorite reads so far in 2014. The title of this book summarizes the premise. For an English class assignment, Laurel has to write a letter to a dead person. However, rather than handing in her finished letter Laurel continues composing letter after letter to dead people she admires as her own kind of therapeutic journaling. “Letters to the dead” might sound a little gimmicky, but Dellaira makes it so much more than that. Laurel’s story unfolds in these letters, rather than chapters, each one averaging 1-5 pages. She writes to Kurt Cobain, Amelia Earhart, Amy Winehouse, Jim Morrison, and many others. Part of why the letter structure doesn’t feel too gimmicky is how Dellaira does tie Laurel’s thoughts and problems back to the specific people she selects for each letter. It doesn’t take much observation skill to quickly deduce that Laurel locks her emotions away and doesn’t communicate them to others. Before I even understood why, I saw how these letters served as a lifeline for someone who can’t voice what she wants to say but needs an outlet. This story feels remarkably real, mostly because the characters feel like real people. I had no difficulty imagining Laurel as a living, breathing teenager somewhere. 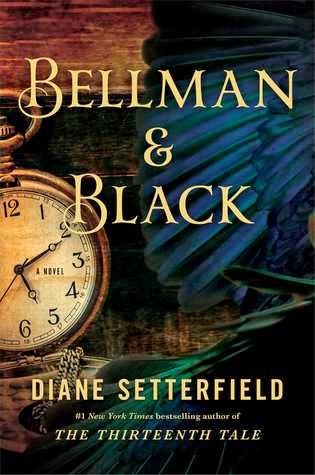 Thoughts, family, friends, romance: it all felt rather convoluted and all the more realistic for the complications. We learn early on that Laurel’s older sister May died less than a year ago and then her family fell apart. Her parents divorced, her mother moved away, and her father slipped into depression. We don’t know why yet, but Laurel also blames herself for May’s death. Laurel’s not the only one who feels real. All of her friends become more than the quick labels a lazy author might utilize. Quick label for Natalie and Hannah: lesbians. But if you asked Natalie who she’s attracted to I bet she would say “Hannah” rather than “girls”; she only has eyes for Hannah and demonstrates a fierce devotion despite some mistreatment. Hannah, on the other hand, shies away from that label and, though she’ll kiss and cuddle Natalie in private, in public she parades around with a steady stream of unsuitable boyfriends. Hannah also has a few complications at home that emerge more as the story progresses. Then there’s Laurel’s love interest Sky. Quick label for Sky: bad boy. Except he’s the most mature bad boy I’ve ever known! I don’t have any of the common bad boy gravitation, but I came to love Sky for his level head. He really grounds the novel. When Laurel romanticizes her dead sister, he calls her on it. When she behaves recklessly, he calls her on it. When she won’t communicate her emotions, he calls her on it. I also admired the progression of their romance. It’s unusual for fiction but extremely common in real life. I had two predictions about the book and both turned out to be true, but I didn’t hold either against the novel. The first I forgave because the truth still skewed a little away from my exact guess and Dellaira also sidestepped my fear that a reveal would be milked for melodrama. The second had to do with predicting something about the ending early on, but if the ending’s predictable it’s because that’s the way the book is meant to end. It felt right. I have a lot of praise for this novel and few criticisms. The first comes down to taste. At times, I found it too sad for me. I never liked the book any less for being sad, but I did literally have to set it down for a few weeks when I needed a break from how intensely I empathized with a very troubled person. Second, I worried the book might romanticize depression. That fear abated as I continued reading and came to the realization that Laurel, not the novel, romanticizes depression and overcoming that is part of her own personal growth. Third and final, the instances are few and far between but here and there the writing felt a little forced. A phrase might be quite beautiful, but it would feel extremely “writer-ly” and not in keeping with Laurel’s voice. Laurel grows and changes immensely over the course of the book. She even sees the people she’s writing to in different lights as her perspective shifts, which elevates the letters-to-dead-people hook far above gimmicky. 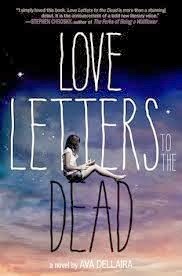 LOVE LETTERS TO THE DEAD is truly an extraordinary novel.